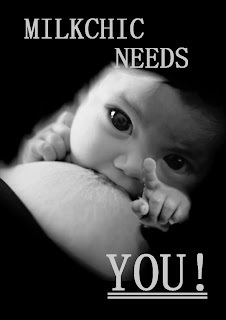 Home / Breastfeeding / MilkChic Needs You!!! Please Vote! I’ve done something very scary… I’ve applied for some extra funding for MilkChic. I’m asking for Â£500 to make the MilkChic website function better, both for busy mummies who need fashionable nursing clothes but only have a newborn’s naptime to find them… and for me, so I can actually keep MilkChic as a going concern. Much as I’ve learned a lot about how websites work, and my coding has come along a treat… it’s time to get some expert help. My time must be better spent doing the things I’m good at – sourcing great fashion and supporting breastfeeding mums, than sweating over websites and going cross-eyed over data feeds for mediocre results. Please take the time to vote and I promise to make the site better for all of us. PS. If you run a small business, and need help to grow, or if you’ve got a great idea for a start-up but need some extra support why not take the plunge and apply too? Nothing ventured, nothing gained and all that…! Lovely site, and great range – voted for you!